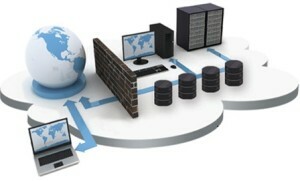 Infrastructure as a Service, or IaaS, and virtual private server (VPS) services, are resource-provisioned cloud computing variants wherein a business outsources the equipment and IT support otherwise used to maintain its operations, including data storage, computer hardware, server capacity and network components. The service provider is responsible for housing, running and maintaining all resources 24/7. Cloud9’s IaaS virtual private server solutions provide a standardized virtual server with performance and availability provided at all times. When considered separately, IaaS and VPS can mean and deliver different, complementary and overlapping advantages of cloud computing. Optimally, IaaS and VPS together comprise a synergistic and solid foundation for a business or professional practice IT and datacenter. With Cloud9’s IaaS VPS businesses can fully embrace and enjoy all of what cloud computing promises: economies of scale, rapid deployment, reduced IT expenditure and anxiety, far greater data security, 24/7 access, risk amelioration and disaster recovery, and the convenience of managed and automatically updated software, just to cite some of the more obvious advantages. Oh, and consider it green as well, your business carbon footprint is reduced! Cloud9’s IaaS virtual private server service provides access to office computing resources in a virtualized “Cloud” environment via the internet. In the case of IaaS virtual private server service the server resource provided utilizes a virtualized hardware computing infrastructure. The Cloud9 IaaS VPS service includes the related offerings of virtual server space, network connections, bandwidth, IP addresses and load balancers. Physically speaking, a pool hardware resource pool is adjoined from a network of servers and distributed across numerous carefully maintained data centers. Cloud9 clients are afforded secure access to the virtualized components that equip their own IaaS virtual private server Cloud. In common with the other forms of cloud hosting, the IaaS VPS service may be utilized by enterprise clients to establish cost effective and easily scalable IT solutions where the complexity and expense of managing the underlying hardware are outsourced to Cloud9. If the scale of a business client’s operations fluctuates, or needs to expand (or contract), clients may tap into the Cloud as and when they need it rather than commit to purchase, install and integrate the hardware locally. See also: Ditch that old office server for good! Enterprise IaaS: via internal business networks, which utilize pooled server and networking resources, allows the enterprise to store its data and run applications as needed to operate day-to-day. Growing businesses can scale their infrastructure in accordance with real and anticipated growth, while a private Cloud (accessible only by authorized staff) can guard the storage and transfer of private data that businesses are required to handle. Cloud Hosting: the hosting of business software applications on IaaS virtual private servers that are founded upon pooled resources from highly maintained underlying physical servers. Virtual Data Centers: a virtualized network of interconnected virtual private servers that deliver enhanced cloud hosting capabilities, enterprise IT infrastructure, integrated within a private Cloud configuration. Rapid scalability: your office server resource is available as and when your business needs it, without delays in expanding capacity or the waste of unused resource. Zero investment in hardware required: the underlying physical hardware that supports the IaaS virtual private server service is prepared and maintained by Cloud9’s own accredited IT staff, saving enormous time and cost compared to traditional localized office server and data center IT support. Utility style economics: the service can be accessed and/or expanded on demand with clients only paying for the resource actually used or anticipated. Location independence: the IaaS virtual private server service can be accessed from any location provided there is an Internet connection. Physical security of the Cloud9 data center: services benefit from the physical security afforded to the servers which are hosted within a highly secure SSAE 16 data center. No single point of failure: if a single server or networking switch, for instance, was to fail, the actual service would not be affected due to the redundancy of hardware resources and configurations. For many services if one entire virtual data center were to go offline, let alone a VPS, the IaaS virtual private server service could still run successfully. Remember us: Cloud9 Real Time is the #1 virtual private server provider selected by more accountants and business owners in more industry polls in North America. Request a demo or a free trial and discover what all the hubbub is about!